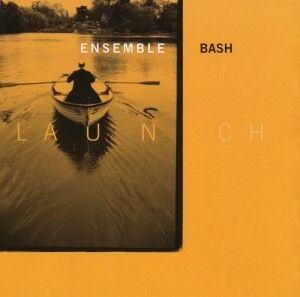 The latest release from ensemblebash marks 20 years since the formation of the group, with the programme made up of some of their best commissions from the 2002 to 2012. 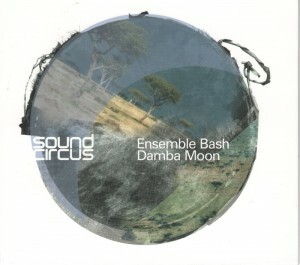 Features a lot of the traditional music we’ve learnt in West Africa over the years. It includes the thunder of the mighty fontomfrom, the sweet buzzing harmonies of the gyil and the slap of the Djembe. 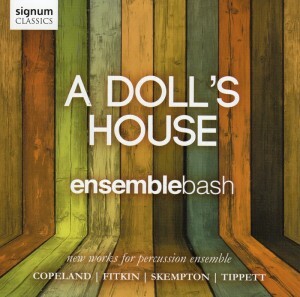 Includes specially commissioned works from Michael Daugherty, Stewart Copeland, Howard Skempton and Nick Hayes. 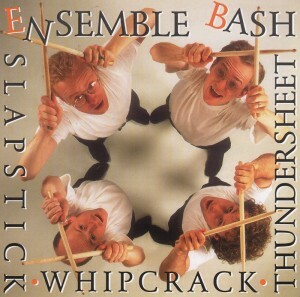 The first and only self produced ensemblebash album. With tracks ranging from John Cage to Antonio Carlos Jobim to Brannick and Hiscock. Recorded live at Melpignano Abbey in front of an audience of 90,000. 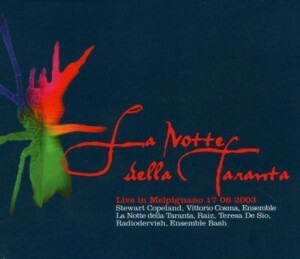 Features Stewart Copeland, Ensemble La Notte della Taranta, ensemblebash, Raiz, Radiodervish, Teresa De Sio. 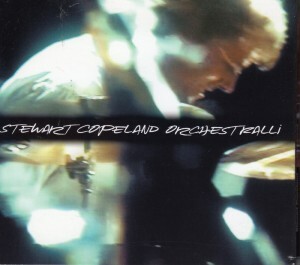 ensemblebash join forces with Stewart Copeland and the Orchestra Ueca in live performances recorded in Milan, Turin, Bologna and Rome. 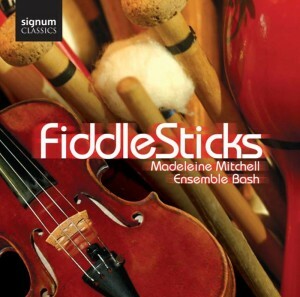 Fiddlesticks is a collaboration between two of Britain’s liveliest musical forces…’ The Times. ensemblebash and Madeleine Mitchell (Violin) perform Lou Harrison’s masterpiece ‘Concerto for the Violin with Percussion Orchestra’ plus specially commissioned pieces by Anne Dudley, Tarik O’Regan and Stuart Jones. 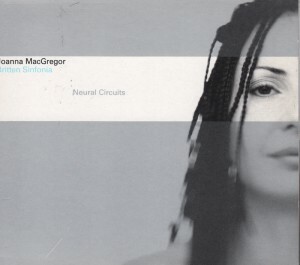 Nitin Sawhney’s specially commissioned ‘Neural Circuits’ and ‘Urban Prophecies’ performed by Joanna Macgregor, Britten Sinfonia and ensemblebash. Also pieces by Arvo Part, Oliver Messiaen plus traditional Ghanaian gyilé music. 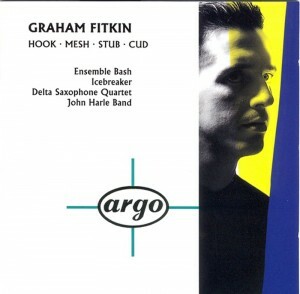 Modern classic ‘Hook’ along with other Fitkin works played by Icebreaker, John Harle and Delta Saxophone Quartet.